It’s no secret that a staple to Persian cuisine is learning hot to make a mean pot of rice. From a young age, rice has always been a major part of my culture and what I eat on a daily basis. Out of all the grains, rice is the least acidic to the body and causes the least amount of digestive problems. In other words, just about everyone (even people with crazy chronic illnesses) can handle rice. Today, I wanted to give you a no non-sense tutorial on how to cook rice. I also wanted to talk a little about rice, explain the different rice cooking methods, and give you some greats tips for making rice that turns out perfectly each and every time. Rice is probably one of the oldest grains and one of the first to be domesticated by agriculture. Research indicates that rice started out in wild strains in modern day China between 8,000 and 13,000 years ago. Today, there are more than 40,000 varieties of rice. But actually tastes really amazing. Imagine making red beans and rice with THIS! 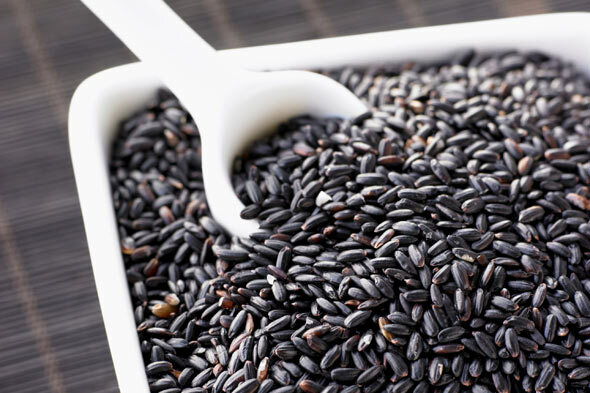 Yes, there is such a thing as black rice. Rice Cooker—This is honestly the method of rice cooking that I use most often. It’s super easy, fast, and pretty idiot-proof. If you’re not sure about buying another kitchen appliance that will take up space in your kitchen, rice cookers really aren’t that expensive. This one is under 30 dollars . Also remember that rice cookers cook foods other than white rice. Whether it’s brown rice, wild rice, quinoa, millet, or even certain cake recipes, as long as you include enough liquid you should be in the clear. Boiled—In Farsi, we call this style of rice making kateh. All you do is put the rice and appropriate amount of liquid and let the pot cook at a slow simmer until all the liquid has been absorbed and the rice is nice and fluffy. This is another fairly simple way to cook rice. If you’d like you can substitute broth or stock in place of water for additional flavor and aroma. Steamed—This is by far one of the more complicated, but perhaps tastiest ways of cooking rice. I’ll admit that I don’t cook rice this way very often, usually only for dinner parties or food-related gatherings. But if you have the time to learn how to make rice this way, by all means go for it! This tutorial provides a thorough and comprehensive way to make traditional basmati rice using the steam technique. In Persian culture, everyone has their own tips, tricks, and sworn by secrets for making amazing rice. You’ve heard about rinsing rice to remove excess starch, but have you tried soaking it? 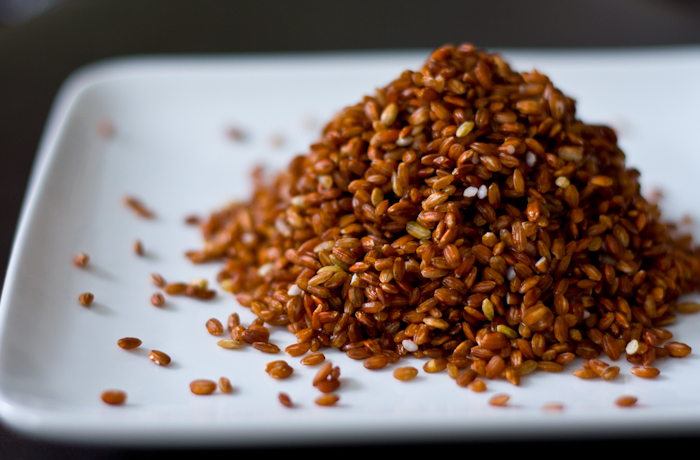 Soaking rice for up to 24 hours before cooking can lend a much softer, fluffier pilaf. It’s as simple as soaking your rice the night before or the morning before heading into work. You can even do this in the same pot you use for your rice cooker to avoid a huge cleanup. Most rice recipes call for a 2:1 ratio of liquid to rice. But sometimes I like to add just a tad more water. For instance, if you’re making two cups of rice, instead of adding just four cups of water or broth, try adding 4 1/4 cups of water. It seems like a trivial detail, but it will make all the difference. Next time you need to make rice, try this technique. It goes especially well with my vegan ghormeh sabzi! Rinse the rice thoroughly until the water is clear. Drain and place into a rice cooker pot. Add the 6 1/2 cups of water. Let soak overnight if possible. If not, try to allot at least 20 minutes of soaking time. Add oil and salt, stirring gently to combine all of the ingredients. Cook according to your rice cooker's directions. For 6 cups of rice, expect the rice to be cooked in about 45-60 minutes. You'll know the rice is cooked when all of the liquid has been absorbed and the rice is soft and fluffy.